There is so much to see in 2018 in the Roanoke Valley in Virginia’s Blue Ridge Mountains, including some great exhibitions at our local art museums and galleries. 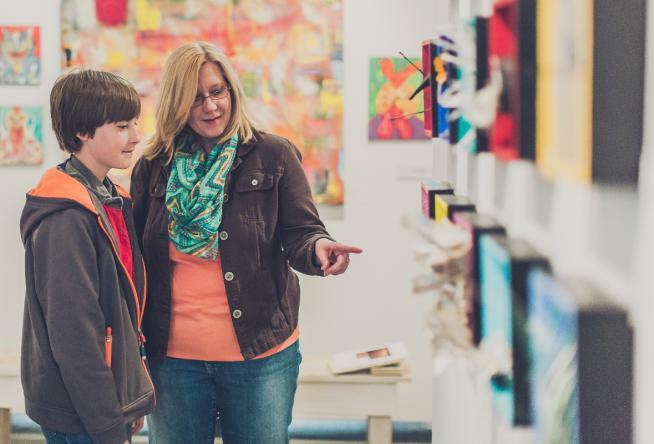 These exhibitions showcase work across various mediums by artists from around the world, as well as local artists who help shape the dynamic local arts & culture scene of the region. Whether you’re an art connoisseur or someone who’s looking to learn more about the subject, here are 10 exhibitions to see in Virginia’s Blue Ridge in 2018! Begin the year with a trip to the Taubman Museum of Art to see PLAY: Toys Reimagined As Art. This special ticketed exhibition is on display until February 18, 2018, and consists of works that were made with toy-like materials. 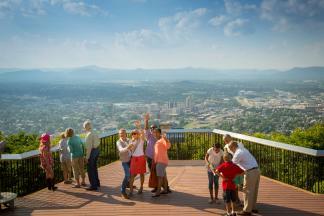 It’s an experience that brings out the kid in all of us. To commemorate the Salem Museum’s 25th anniversary, the Hometown Treasure exhibit is a showcase of various artifacts, buildings, events, and other things the Historical Society has helped preserve over the years. The exhibit is a celebration of local history that helps introduce visitors to the rich heritage of Virginia’s Blue Ridge. Paul Villinksi is a New York-based sculptor who has multiple works on display at the Taubman Museum of Art. Farther is an exhibition that reflects the artist&apos;s passion for environmental issues and challenges, with many of the pieces consisting of discarded materials that were used to create inspiring works of art. Many of the installations have an aerial motif. From January 18 through March 31, the work of Virginia artist Ray Kass will be on display at the Moss Arts Center at Virginia Tech. Kass is a painter who uses a variety of tools, including water, oil emulsion and dry pigment on rag paper. This exhibition will feature his 1991 painting, Broad Channel: Vorticella Polyptych, which is part of the permanent collection at the Nevada Museum of Art. The Eleanor D. Wilson Museum at Hollins University proudly presents BRIGHT LIGHTS. This exhibition is a display of ten lighted sculptures and the original works that inspired them and it’s been curated by James W. Hyams, a Roanoke art collector. The collection is Hyams’ tribute to creators he views as “bright lights” in the world of art. The Paper Blooms Project is a unique, collaborative, community art exhibition. On display at the Olin Hall Galleries at Roanoke College, The Paper Blooms Project is a collection of paper flowers that have been handmade by local volunteers and community groups to create a community garden. The garden will include a broad range of plants with vivid colors and displays. We’re excited to have Zanele Muholi in Virginia’s Blue Ridge this year as part of the Artist-in-Residence program at Hollins University. Muholi is a photographer and activist who has advocated on behalf of LGBTI issues in South Africa and around the world. During her time at Hollins University, she will create works in an on-campus studio and also teach an art seminar. The Invented Instruments exhibition at the Moss Arts Center at Virginia Tech will feature a selection of musical instruments invented by artist and musician Laurie Anderson. The instruments have helped Anderson create unique musical scores and sounds, including new phrases and language. A visit to Virginia’s Blue Ridge should always include souvenirs! In Fall 2018, the Blue Ridge Institute & Museum will present an exhibit on Virginia Souvenirs that focuses on the history of souvenir collecting, Virginia made souvenirs, and how souvenirs have evolved over the years. It will explore the significance of “remembrance” of experiences and visits. Head to the Taubman Museum of Art this fall to experience “Drive: Iconic American Cars and Motorcycles” - a special ticketed exhibition. It will display iconic American cars and motorcycles from 1910 to 1965, showcasing the best in American automotive invention, design and engineering. In addition to the special exhibitions at local museums and galleries, Virginia’s Blue Ridge is also rich with public art. One great spot to take in some of this public art is along the Elmwood Art Walk in Downtown Roanoke’s Elmwood Park. 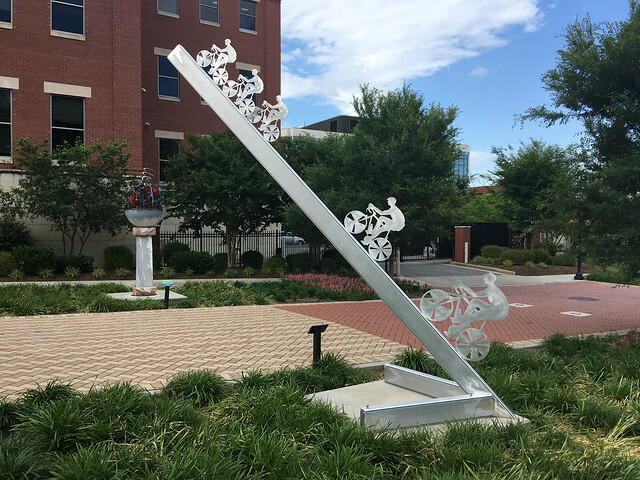 There are 10 unique sculptures on display and all are based around the “City in Motion” theme that reflects Roanoke’s history as a transportation hub and movement toward the future. You can also take a look at the new Roanoke mural across the street (Jefferson St.) from Elmwood Park on the side of the Gill Memorial Building. 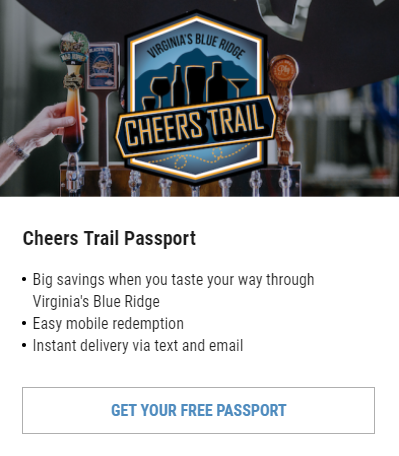 To learn more about other fun ways to spend your time in Virginia’s Blue Ridge this year, subscribe to our monthly e-newsletter and give us a follow on social media. Keep up with upcoming art exhibitions by checking our Exhibits Calendar.